Last Friday, a group of over 120 people gathered on a cold, blustery Autumn night in a hall above a burnt out pub on Bedford Street in Cannons Creek, Porirua, to hear about a ground-breaking project to change health outcomes in one of the neediest Pacific communities in New Zealand. In a 'first', the renowned research centre, Maurice Wilkins Centre, hosted by the University of Auckland, will team up with the only Pacific owned & governed health service in the Wellington region, Pacific Health Plus - literally based on the street below in Cannons Creek - to battle very significant health problems faced by Pacific people. Everyone in the room was buzzing to be part of something which will draw attention to Pacific needs with real tangible outcomes and ways to improve quality of life and life expectancy. Also in attendance was the team from the Maurice Wilkins Centre; representatives from health and social service providers in Porirua; significant church leaders; members of the Cannons Creek community and Pacific Health Plus board members. Pastor Teremoana, as the first speaker of the evening, explained how Pacific Health Plus, the medical centre in Cannons Creek (previously called Porirua Health Services) had been servicing the community for 10 years but acknowledged that the time had come to take the service to the next level, and that recent investment by the Fiso Investment Group will allow this. Mike Tana, Mayor of Porirua said the evening was a ‘celebration of Porirua and Pacific Health Plus’ and thanked everyone for their ‘love of Porirua’ and how this next step with a new and meaningful research project was a positive one for the area with lives to be changed for the better. Mr Tana said that self-determination is the best way forward for communities and this project - ‘for Pacific by Pacific is an awesome example of this’. Hon Kris Fafooi, MP for Mana, acknowledged John Fiso by saying how since the Fiso Group came in to help Pacific Health Plus he had seen ‘nothing but action’, and the speed with which the partnership with Maurice Wilkins was established shows commitment to a community. Minister Fafooi also thanked the Maurice Wilkins Centre for recognition that ‘for Pacific by Pacific’ was the most effective way forward. John Fiso, chair of the Fiso Group and Pacific Health Plus, thanked the VIPs in attendance and those in the room who had shown goodwill and had helped. Mr Fiso acknowledged the importance of data as part of properly understanding problems and determining solutions and that self-determination was critical to the data being used successfully - “with research owned and delivered by the people who will benefit from the outcomes to ensure integrity of the data”. “This is a milestone for Pacific Health Plus - a project which will bring real change,” said Mr Fiso. “However, we need more debate about solutions for Pacific people and we cannot look at health in isolation - we need to factor in housing, employment and education as part of the real solution. “We will seek further partnerships as a way forward - but we recognise that building trust and confidence through successful delivery of our projects is key to this,” said Mr Fiso. Professor Peter Shepherd, Deputy Director of the Maurice Wilkins Centre commented on what a privilege it is to work with Pacific Health Plus. He explained howProfessor Maurice Wilkins, who the Centre is named after, was a New Zealander who won the Nobel Prize for Medicine, and that for Professor Shepherd, the centre’s name signifies the potential for New Zealand to use scientific research to achieve better outcomes for its citizens. “It is time to break boundaries and work as one to change the health landscape for Pacific people in New Zealand,” said Professor Shepherd. “And we are not going to change the world from our ivory towers behind university walls - but by working in the community as partners. “We have to move fast, we can’t waste time,” Professor Shepherd said. “We cannot assume that because medicine is tested on people in the US that it will work for our Māori and Pacific communities - we must look at how genetics influence this. We also need to harness links schools, communities and education to help achieve better outcomes. Dr Rosemary Hall said that Pacific people, who have highest rate of diabetes in NZ, had been failed and their needs were not being met. “We need to better understand the reasons for different rates of diabetes within different groups and see the situation in context of the bigger picture. Having evidence, from research, and having Pacific lead this is critical,” Dr Hall said. Further information on the Pacific Health Plus and Maurice Wilkins Centre research partnership is below in the Editor's notes. The Maurice Wilkins Centre is a national Centre of Research Excellence that brings together over 400 of New Zealand’s top scientists and clinicians from all over the country. Pacific Health Plus is a primary healthcare service in Cannons Creek, Porirua, and is the only Pacific owned and governed healthcare service for Pacific people in the Wellington region. It services over 2000 people in the Cannons Creek community. Originally posted by Radio New Zealand, 12:13 pm on 8 April 2019, here. Scientists in New Zealand are hoping a new project to develop the use of cutting edge genetic research will improve woeful health problems in the country's Pacific people. Hospitalisation rates for Pacific people are about double that of the general population. Pasifika have twice the rate of diabetes and are eight times more likely to be admitted to hospital for rheumatic fever. The Maurice Wilkins Centre is a grouping of 500 scientists and clinicians and it's teaming up with a Pacific health provider in Cannons Creek, north of Wellington - Pacific Health Plus - to take the research to the next level. The centre's deputy director Peter Shepherd said it was a ground-breaking project in treating diseases like diabetes. "It'll make faster progress, it'll result in the findings being implemented clinically much quicker and it'll have a lot of other benefits of empowering those communities to be part of their own future and decision making around their health," Professor Shepherd said. "Most drugs have been tested on European people in America and this gives us the opportunity to really show what works for Maori and Pacific people." The initiative, launched on Friday, gives researchers the chance to work directly with their communities, get their input and feedback about the research and future directions, he said. "It's very important with our research that we do it with the communities involved and not just from our ivory towers in the university," Professor Shepherd said. "The early indications are that genetic factors do contribute to the risk of getting diseases like diabetes and high blood pressure and what we want to do is to find how we can link that information to the right medicine or the right treatment, or the right dietary intervention so that we can give people just the right treatment for them based on their genetic profile." When Giles Yeo appeared on a television programme called What’s the Right Diet for You?, a literary agent got in touch to ask if he would write a diet book. Yeo is a geneticist. His research focuses on the influence of genetics in our relationship with food and on the science of obesity. He hates diet books. He believes they offer “quick and easy answers”, whereas science “is set up to get to the truth … eventually”. So he wrote this book instead. Obesity, he says, “is perceived by most people on the planet as quite a simple problem”. This book, based on two decades of research in the field, aims to show it isn’t. Sure, we should nearly all eat less and move more, but the real question, he says, is “WHY some people eat more than others” and why some find it harder than others to lose weight. And why our culture offers so many instant answers and “lifestyle gurus”, peddling different versions of what Yeo politely calls “post-truth”. Yeo starts his quest with some of the science relating to genetics and obesity. He explains, for example, that consuming just seven calories more than you need a day is enough to make you put on 15kg in 30 years. Which is, he says, why “you suddenly find it difficult to control your facial expression as you barely recognise anyone” at your school reunion. He tells us the surprising fact that “heritability of weight is actually close to that of height”. He talks about the Pima Indians in Arizona and the Pacific Islanders, who are now among the heaviest people on the planet. They are obese, he explains, because their genes evolved over millennia to adapt to food scarcity in harsh or remote conditions, and while their living conditions have changed, their genes haven’t. They are an extreme example of the challenge we all face: that our “drive to consume food” to survive “has been shaped by many millions of years of evolution”. Being overweight in our current environment is, therefore, “the natural — highly evolved, even — response”. Obese people, Yeo says, “are not morally bereft, lazy or bad”. They are “fighting their biology”, in a food environment that has changed beyond recognition in 30 years. He doesn’t claim, as some “fat activists” do, that being obese is something to be celebrated. He is absolutely clear that it brings huge health risks, such as heart disease, type 2 diabetes and cancer. But he is very careful not to pass judgment. When he uses words such as “wobble”, he is quick to assert that he is “not using any of these terms pejoratively”, and to talk about his own “wobbly belly” and cheeks like “squirrel pouches”. He has, it’s clear, a cool head and a warm heart. He is a lot less warm towards the “old white dudes” who have built multimillion-dollar empires on food fads. One by one, he takes them on, these men who claim they have found the answer to everything. The paleo diet, the high-protein diet, the wheat-free diet, the plant-based diet, the pH miracle, the juice cleanse and the clean-eating phenomenon are dismantled before our eyes. They are, he shows, not just based on pseudo-science. Some can cause serious harm. Robert O Young, the author of the pH Miracle books, who has no medical qualifications, was jailed for “treating” cancer patients while Yeo was writing his book. Gene Eating is one of the clearest attempts I have come across to explain complicated science. It is an entertaining read, full of lively anecdotes and self-deprecating humour. When Yeo makes a documentary about “clean eating”, to look at how the half-truths of the “old white dudes” are being echoed and amplified by young, beautiful “lifestyle gurus” and social-media influencers, he joins Instagram and starts posting pictures of his food. A small war breaks out when, one day, his breakfast photo includes a sausage. After #sausagegate, he loses more than 10% of his followers. Yes, it’s a tough old world. wearethepacificocean.com/digital-stories.php. She will be presenting findings on the project at The Gerontological Society of America’s Annual Scientific Meeting in Boston this November. Tapinga ‘a Maama is funded by the Ministry for Business, Innovation and Employment’s National Science Challenge for Ageing Well. A new $5 million NZ Health Research Council grant will study the genetic risk factors of metabolic disease in Māori and Pacific people. Dr Ofa Dewes, a co-investigator on the project, said the reasons why Māori and Pacific people are at greater risk for type-2 diabetes and obesity compared to New Zealanders of European descent are not fully understood. Genetic differences play a role, and the team will look at the influence of specific gene variants on body mass and risk of type-2 diabetes. They will also explore how these gene variants might influence the response of people to drugs used to treat type-2 diabetes. Peter Shepherd, Professor in Molecular Medicine and Pathology, is the lead investigator. Family members looking after elderly Pasifika at the end of their lives aren’t getting the help they need. Most Pacific Islanders in New Zealand spend the end of their lives being cared for by family members who aren't getting all the help they're entitled to, a new study has revealed.The study which outlines the challenges facing those who give up their own lives to care for their loved ones.Reverend Suamalie Naisali, who cared for his dying wife, said: "She said to me, 'I would like to be at home. It is a better place where there is peace, where there is love'." It was the right decision but it wasn't easy, as family members gave up study and jobs to provide 24-7 care.While they had a lot of community support, Reverend Naisali says the Government needs to provide financial help for those who don't. "If they give up their job they can't even support the children to go to school," he said.The study author, Dr Ofa Dewes, says the tasks caregivers perform at home caring for an older loved one are relentless.That's why the Ageing Well National Science Challenge has spearheaded the study of 33 Pasifika families who've been through it.It's hoped the research will help form government policy as it showed how most Pasifika prefer to spend their last days - at home with their family.A group of elders who meet every week as part of the Treasuring Older Adults programme know what they want, but are reluctant to put extra pressure on their families.The study shows most of those families don't know what help is available to them. One recommendation is that family members who are voluntary caregivers for dying loved ones could later fill gaps in the aged care workforce. "They've learnt the skills and coping with all the different responsibilities that a caregiver provides at end of life. And this is a resource that is yet untapped," Dr Dewes said.Malia Hamani of Treasuring Older Adults says she believes government can include carers in the funding it allows for older persons and those at end of life.Some footage in the above video was kindly supplied to 1 NEWS by the Aotearoa Science Agency. World-renowned paediatric geneticist Professor Stephen Robertson has steadily been helping unravel obscure diseases, while giving fresh hope to countless children across the planet. They include some we'll likely never hear about - let alone be able to say - like macrophagic myofasciitis, faciooculoacousticorenal syndrome and reflex sympathetic dystrophy. Those ailments number among some 7000 rare genetic diseases that touch the lives of around seven per cent of our population. A diagnosis with one could be a scary prospect for families, given the sheer lack of knowledge about them, let alone a lack of therapy or cure. Roberston's run of breakthroughs stretch back to 2002, when he discovered a rare disorder which afflicted a Māori whānau from the Far North he'd met while working at Starship Children's Hospital. Robertson, now based at the University of Otago, was moved by their tragic history, which involved four of the women losing seven baby sons between them. The babies were deformed at birth and died soon after. After years of hard toil, he eventually identified a gene responsible for the babies' deaths, enabling a diagnosis and potential genetic testing to answer some of the whānau's concerns heading into the future. But not only did he find a name and a diagnostic gene test for the disorder, his research helped turn a corner in the understanding of human development and led to insights into many diseases well beyond this single condition. The University of Waikato has launched an ambitious Pacific Plan to raise the achievements and profile of its Pacific students, researchers and staff. The Pacific Plan launch at the University of Waikato. Photo/ Aupito William Sio. This year Waikato introduced a new major in Pacific and Indigenous Studies and is in the process of appointing an Assistant Vice Chancellor Pacific. Leading Pacific psychologist Dr Byron Malaela Sotiata Seiuli says the Pacific Plan provides a brand Pacific students and academic staff will warm to. Dr Seiuli is part of the university's Faculty of Arts and Social Sciences and says Waikato is well-placed to raise the academic outcomes for Pacific students and staff. He says part of the Pacific Plan is about providing a Pacific identity within the University of Waikato for Pacific students. "It's about increasing the recruitment and the retention of Pacific students so they can access courses that are of high standards given that Waikato is in the top one percent of universities worldwide," he says. Part of the seven point plan will see Waikato piloting a programme in partnership with two other tertiary institutions and the Tertiary Education Commission. The College's Pacific Chapter hosted a successful one-day learning event in Auckland last week, examining Pacific peoples’ health now, and into the future. More than 60 delegates attended and discussed topics such as recruiting a Pacific primary care workforce, assisting Pacific families beyond the 15 minute GP consultation, and Pacific health literacy. Attendees included the Associate Minister of Health Hon Jenny Salesa, who presented on How Pacific GPs can assist the Government in advocating for the communities they serve. Attendees also heard from GPEP registrars Dr Faoa Gatoloai and Dr Alisi Keppler, who shared stories of their own journeys into general practice. National MP Hon Alfred Ngaro gave an opening address on the role of Pacific GPs in Aotearoa's health system, while Labour MP Anahila Kanongata'a-Suisuiki shared her thoughts on Pacific health through the eyes of a new MP. WE have heard of so many success stories from various individuals. The struggles they went through from their childhood days and the struggles their parents — the sole breadwinners in the family — went through just because they wanted their children to succeed in life. At times, when people grow older and become successful in life, they find it challenging to look after their elderly parents, most eventually leaving them under the care of old age or retirement homes. This is the sad reality the world over and Fiji is no exception. This may not be the case for many families but it is for some. The reasons, however, may vary. In spite of the neglect, residents of old age homes often receive special visits from the community. Last week, members of the Fiji Police Band brought smiles to the faces of more than 40 residents of the Golden Age Home in Natabua, Lautoka as they provided entertainment which was part of the Fiji Police Force 2017 community policing outreach. Fiji police chief operations officer ACP Rusiate Tudravu was also present at the event and shed tears upon witnessing the entertainment from the band and the enjoyment it brought to residents of the home. He said such events reminded members of the public about the importance of appreciating our parents and elderly in the community. "When we see the residents of these homes, they remind us of our parents and we think of how sad it is to abandon our parents like this," ACP Tudravu said. "And when we compare them with those in our own homes, our own parents and we are looking comfortably after them, it is very emotional thinking of such things. "We, as children, have honourable duties to look after our parents. "The different situations they face and even the status they are in as they grow old, they are still our parents and we should always treat them right and look after them." ACP Tudravu said personally, it would be a sin if he did not look after his parents. He shared that there was no point for children to leave their parents in retirement homes as they had an important responsibility to look after them. "Our parents have done enough to get us where we are today and for us to be successful," he shared. "It is very important to look after our parents. They have done enough upbringing, we should look after them and stay with them as they are the reasons we are here today." Last year, Health Minister Rosy Akbar, who was previously Minister for Women, Children and Poverty Alleviation believed it was every family's responsibility to look after their elderly citizens. While opening the National Council for Older Persons Institutional Forum in Suva, Ms Akbar had said she was not in favour of building new homes for elderly citizens, saying that as a society with cultural values "we should be able to look after our elderly citizens". She had urged NGOs, community-based organisations and families to work together to address the neglect and rejection of elderly citizens by their families. She had said Fiji's Constitution providesd equal rights and opportunities to everyone including senior citizens and that matters concerning the welfare of senior citizens were treated with urgency. She said every religion taught its followers to honour, respect and take care of their parents, and that they belonged with their families. Most Pacific Island societies and its peoples are taught to value, respect and care for their elderly. It's one of the things that are instilled in children at an early age. The decision to place a parent or an elderly in a nursing home is sometimes not the easiest of things to do and there are many factors that contribute to this decision. At the end of day, the care and love for our elderly stems from the values an individual holds near and dear to their hearts. A young Rotuman boy who left his Noatau home in Rotuma 82 years ago in search of better education opportunities celebrated his life's most significant achievement over the weekend — his 90th birthday. Hundreds of relatives and family members from Hawaii, New Zealand, Australia and other parts of the country gathered to celebrate the life of retired medical doctor, Dr Faga Titifanua Panapasa, a man described by many of his relatives to be loving, kind and caring. Emotions overflowed, family bonds rekindled and many family members got the opportunity to meet and acknowledged the achievements they have set so far at the event, which was held at Nadi's Tanoa International Hotel last Sunday. In 1927, Jotama and Kiji Panapasa of Noatau welcomed a healthy young boy into their family, who was the fifth of seven siblings. Faga was educated at Rotuma's Malhaha Primary School during his early primary school years before moving over to Suva to enrol in Class Three. Because he had very little knowledge of English at the time, he was put back to Class One. He then completed Class 1-7 at the then Suva Toorak Boys School. At the celebrations, his son, Fatiaki Panapasa, a manager quality assurance with Air Terminal Services shared a piece of history about his father and his journey to success. "World War II and its threat to Fiji in 1942 was real so preparations for war required urban schools to be evacuated and relocated to facilitate the accommodation of soldiers and support services," Mr Panapasa shared. "Toorak Boys closed and its missionary teacher and principal, a Mr William Earnest Donnelly, then asked for volunteers from the senior classes who wished to continue their schooling, to accompany him in a shift to Davuilevu. "Fifty students moved and met up with the principal on March 3, 1943 at the new site and the two master bedrooms in the Davuilevu Technical School principal's residence became their classrooms." There were only two classes and two teachers — Dr Faga was one of those students and the teachers were Mr Donnelly and Semesa Sikivou. The Methodist Church conference of 1943 gave Mr Donnelly the permission to expand the school and together with the students built three large bure. Following a directive that was also given during the conference, this new complex was named Lelean Memorial School, the largest Methodist school in the country. Dr Faga was one of the pioneering students of Lelean where he then made his way up to successfully pass his Senior Cambridge exams at Form Four. While he was schooling at Davuilevu, another prominent person was teaching at the Davuilevu Teachers College, his uncle who famously became known as Rotuma's first senator Wilson Inia. Dr Faga then went on to successfully attain his medical qualification as a doctor where he was awarded the gold medal for surgery at his graduation. The retired doctor, who has nine children, has been posted to various parts of the country during his tenure with the Health Ministry and he remained at the PJ Twomey Hospital until his retirement in 1987. He was also given many awards during his career as a doctor, an achievement in itself that gave his children and family members the drive to do better and achieve the best in life. Upon his request, he was reposted to Ahau Medical Centre on Rotuma for 20 more years before his 80th birthday celebration 10 years ago. On February 12, 1959, Dr Faga appeared on the front page of The Fiji Times with three winning entries in a poster competition organised by the National Association for the Prevention of Tuberculosis. He was one of the judges for the competition and his participation was a reflection of a man who continued to dedicate his life to the community. A niece of Dr Faga, Ofa Dewes, came all the way from New Zealand to be part of this significant celebration. She remembers her childhood days at her Nabua home in Suva where Uncle Faga was always their family doctor. "We have fond memories of families sharing food together, meeting each other during those happy times and attending to birthdays and weddings together," Mrs Dewes said. "When I was a child, I had fallen off a terrace at home and so they took me to CWM Hospital and the first person to visit me was Uncle Faga so it was always memories of him always being there for us when we were unwell and that caring side of him which I see in the family. "He was a very important connection for us and this is why I came especially for this occasion." Another family member and retired teacher, Susana Tevita, said Dr Faga was someone who always had time to meet with family members even through his busy schedule. "He never had excuses despite being a doctor. He is so caring and he always reaches out to people and makes time for them. "He is a life-mentor to all of us who are related to him and we have a close relationship (with him). His parents were lay preachers on Rotuma and he grew up in a family centred on Christ," Mrs Tevita said. If there was any advice Dr Faga would like to offer to those pursuing a career in medicine, it would be to "know your body!" Ofa (Fiji-born Rotuman/Tongan/Tuvaluan, Ngāti Porou affiliate) is a Pacific health researcher at the Maurice Wilkins Centre for Molecular Biodiscovery and at Auckland University's School of Nursing. My average office day begins very early with a coffee and quick catch up on “news” and a laugh with colleagues over something funny I’d read, such as in The Giant of the Senate by Senator Al Franken. My diary lists a variety of daily activities which I check along with my mailbox for urgent replies. I also read current publications I’m interested in, meet with our research team to discuss progress and follow-up actions, participate in other project meetings or teleconferences, review transcripts, analyse data, and draft an ethics or grant application, or work on writing a manuscript. If I'm collecting data, I'll spend most of the day in the community meeting participants (e.g. at home, school, in a clinic, or workplace), talking through the study again and answering any further questions before obtaining informed consent, then conducting interview/completing questionnaires and, if required, collecting blood samples. I went to a Catholic Girls’ school in Fiji where I studied a variety of subjects including English - my second language. I also learned about the Catholic religion (I’m a Methodist). Other subjects included social studies, health science, geography, mathematics, bookkeeping, and home economics. We had time for sports too. Outside of school, I learned to read music and play the piano (classical). My favourite subjects were social science and biology. I wanted to train as a nurse or teacher in Fiji, but instead my parents sent me to Christchurch to learn commerce and office administration, and continue with piano lessons. My initial studies enabled me to work in the public and international sectors (United Nations Development Programme Regional Office) in Fiji, and the private sector in New Zealand. Strong personal and professional links with a number of Pacific countries influenced the direction of the research in my doctoral thesis, Obesity Prevention among Pacific adolescents: Is there a role for the church? In this, I combined both quantitative and qualitative methods. The data for the quantitative component came from the Obesity Prevention in Communities (OPIC) four-country regional study, for which I managed the New Zealand baseline data collection. In addition to analysing the data from 2,495 Pacific students, I conducted a community meeting with 50 church leaders, individual meetings with the ministers of 20 churches, and a separate qualitative survey of 23 church leaders to gain a deeper understanding of the issues associated with obesity in Pacific church communities in Auckland. These work and study opportunities established a strong platform for what I do now, especially in Pacific health research leadership, developing a talent pool of Pacific research scientists, strengthening research collaborations, and engaging communities for better health and education results. Have fun thinking about your career choices and know that you’re not alone. Think about who you'd like to tell your dream job to - friends, family, teacher, lecturer, supervisor, or careers counsellor? Their support can provide a useful guide as you think through your career choices. Do you need information on pathways to your chosen career, scholarships you may apply for, summer studentships/short-term training programmes to consider, or opportunities for work experience? Would it be helpful to ask for feedback on your performance? Enjoy the process of thinking through your career choices and opportunities to put your talents to work not only for your own benefit, but also for the benefit of others. And don’t be afraid to change course if it’s the right thing to do – follow your heart! Some of my career highlights include securing career development funds to support young Pacific women in STEM (science, technology, engineering, maths), engaging high school students in a real world scientific research project, and participating in leadership positions for the Health Research Council and the National Science Challenges (Healthier Lives and Ageing Well). Everyone in New Zealand has the freedom of choice to engage with STEM and apply their learnings in so many different ways at home, school, work, or in service to community – it is not limited to the laboratory. Exercising our choice effectively is an important way of motivating people to enjoy and value life-long learning, put their learning to good use, create employment opportunities and reduce inequalities for the overall benefit of New Zealanders. We need more women working in STEM if we are to achieve the United Nations sustainable development goals that value diversity, gender equality, easy access to quality education, health services, and work opportunities. More women in STEM will also drive effective partnerships that lead to justice for women and girls in NZ, the Pacific region, and the world. Ofa Dewes is Fiji-born of Rotuman/Tongan/Tuvaluan ethnicity, with affiliation to Ngāti Porou. She is a Pacific health researcher of the Maurice Wilkins Centre/Department of Molecular Medicine & Pathology, and the School of Nursing’s Te Ārai Palliative Care and End of Life Research Group, University of Auckland. For more information, see wearethepacificocean.com or follow Ofa on Twitter @Pasifik_Ocean. Photos (from top): Portrait of Ofa; Ofa and her sons; Ofa supporting the Oriental Bay Rongotai Women's Rugby champions; Ofa (right) with colleague at the Auckland Expo for high school students. Tilisi Paniani spent more than 20 years caring for her mother and father. She never got to finish high school, but Tilisi Paniani has no regrets about nursing her parents until their deaths. The south Auckland woman was 17-years-old when her mum first had a stroke and she had to stop school to look after her. The youngest child of 11, Paniani grew up in the Cook Islands and her siblings were all living overseas by then. Reoreka and Tilisi Paniani moved to New Zealand from the Cook Islands to look after Tilisi's sick mother. "I didn't have a choice. My Mum was struggling ... she needed me," Paniani says. "I would cry a lot. Sometimes I would see my friends and I missed sports ... I was doing the washing and cooking, life was so tough for me." Her mum's health got worse and her parents moved to New Zealand for better healthcare, while Paniani stayed in the Cook Islands. Then, some years later, her dad asked her to move to New Zealand to look after her mum again. She and her husband, Reoreka, uprooted their lives and moved to a new country and Paniani looked after her mum while raising her young children. Her mum eventually went to a rest home when it became too hard for Paniani and her father to look after her and she died in 2010. "When she left it was like she took half of my heart with her," Paniani says. She and her husband then helped look after her father until he died in 2016. Paniani is one of the participants in a study to improve end-of-life care for older Pacific people, led by University of Auckland research fellow Dr Ofa Dewes. Dewes' study began this year and is looking into people's experiences with palliative care and the challenges faced by family who carry out the bulk of care. Paniani says it was a huge job looking after her parents, but she's glad for government assistance and that her parents got to meet all of her children. "It's all about love and patience looking after old people. You have to be patient." Paniani says it's important for teenagers to make the most of their parents and grandparents now, not just on their birthdays or wait until they get sick. "Remember it's going to come back to you one day. "Give them a phone call, take them out for coffee, tell them how much you love them." “Pacific older adults have high levels of unmet need and poor access to palliative care while dying,” says research fellow Dr Ofa Dewes from the University’s School of Nursing. “The research aims to improve end-of-life care for older Pacific people,” says Dr Dewes. 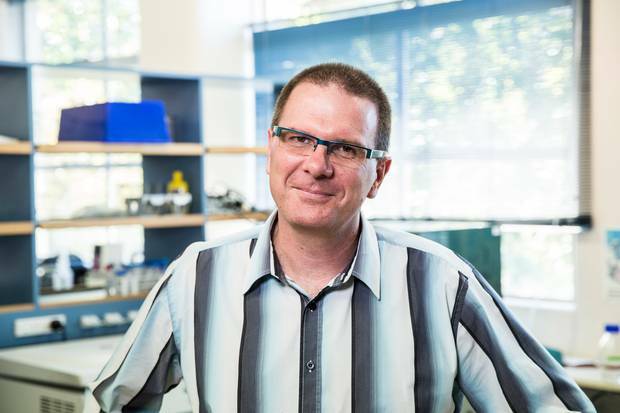 The study is one of four projects nationally, announced recently by the Ageing Well National Science Challenge (NSC) with total new funding of $3.25 million for the four innovative research projects. In recognition of the specific challenges and opportunities faced by Māori and Pacific people to age well, the focus of this year’s Ageing Well NSC contestable funding round was research that investigated aspects of ageing that are prevalent for these groups of people. The two-year study by Dr Dewes is titled, ‘Tapinga ‘a Maama’: Pacific Life and Death in Advanced Age, and is funded for $450,000 by the Ageing Well NSC. “This research is crucial given the concerns raised by Pacific communities about dissonances between the nature of care and support preferred by Pacific older adults and their aiga at the end-of-life, and the provision of palliative care services,” says Dr Dewes. “Our study draws on Pacific health models to address that knowledge gap and explores the end of life circumstances of Pacific people dying in advanced age,” she says. “Using rigorous qualitative methods, interviews will be conducted with about 30 bereaved aiga of people dying at more than 75 years old,” says Dr Dewes. The project team carrying out the research and led by Dr Dewes, includes academics from the School of Nursing and the School of Population Health at the University of Auckland, a facilitator for Pacific aged care services, and an international community liaison from Hawaii.